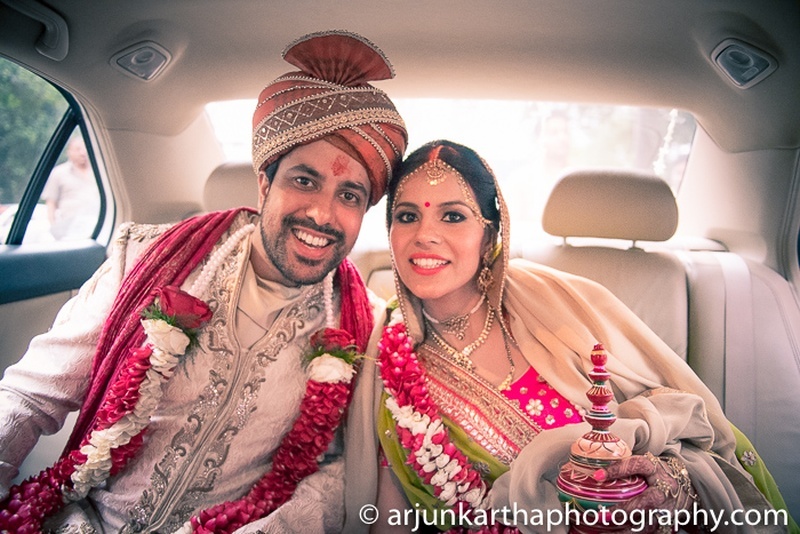 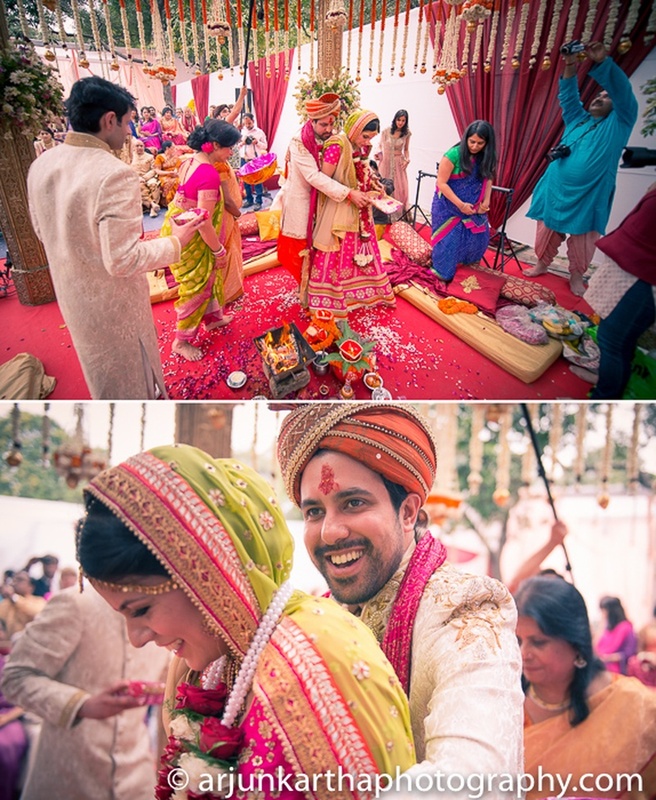 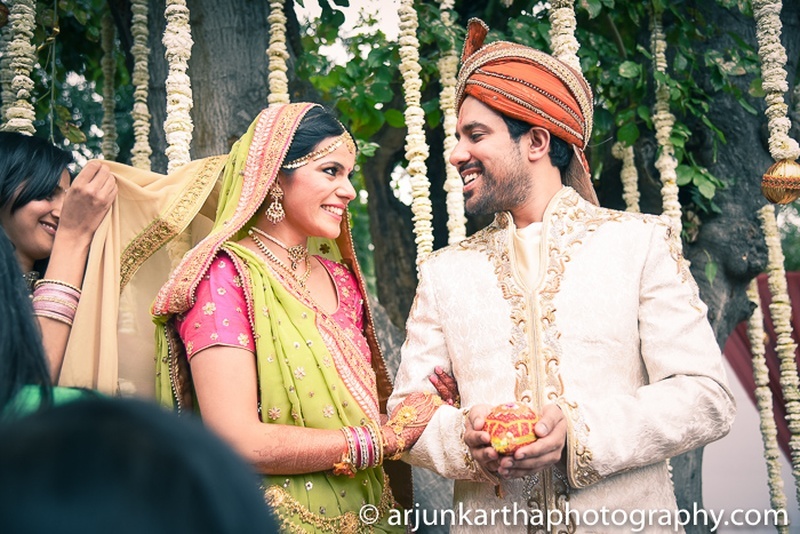 When Sarika and Avin’s pretty-pretty delhi wedding pictures came to us along with their story, all we could say was “Thank God for Technology!” ‘cause without that Sarika and Avin’s love story wouldn’t bloom the way it did. 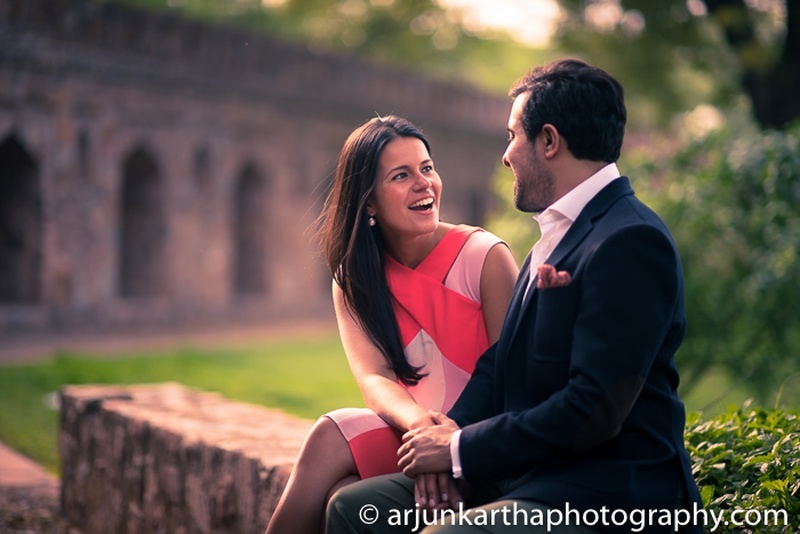 Based in United Kingdom, these two met each other at a friend’s birthday party for the first time, and ended up chatting on whatsapp every day! 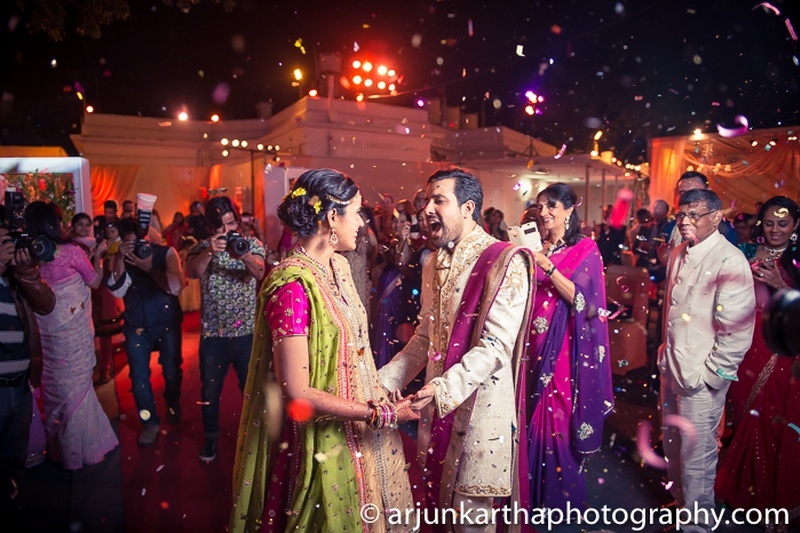 We now like to think of whatsapp as some what of a modern day kabootar, that helped this couple’s love grow like no other. 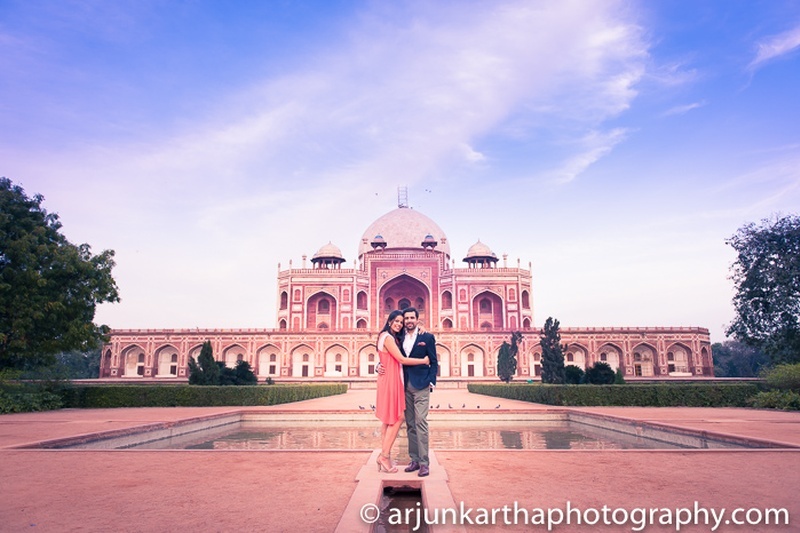 Even though Sarika left India when she was a child, she visit often and has a great fascination for Lutyens Delhi – the history, the monuments, the planned city, the greenery and beauty of it. 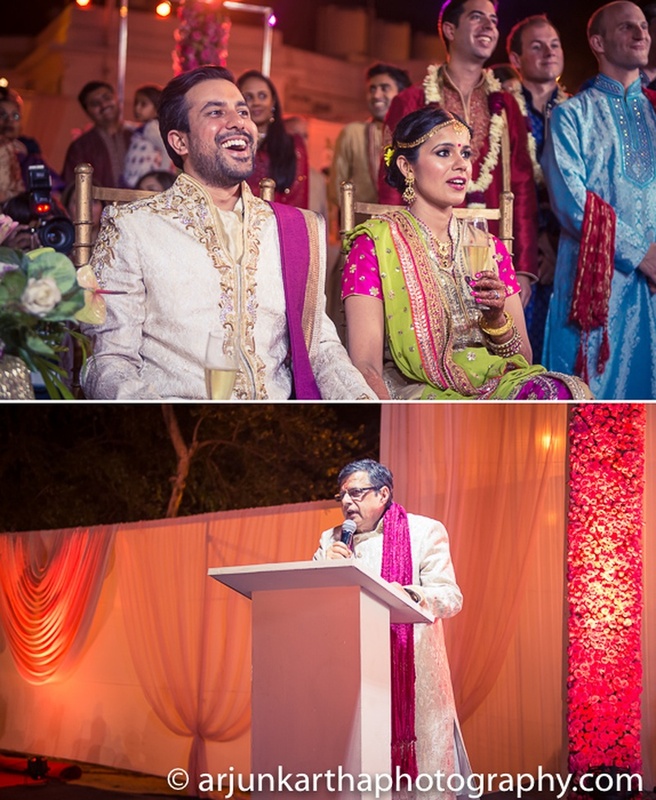 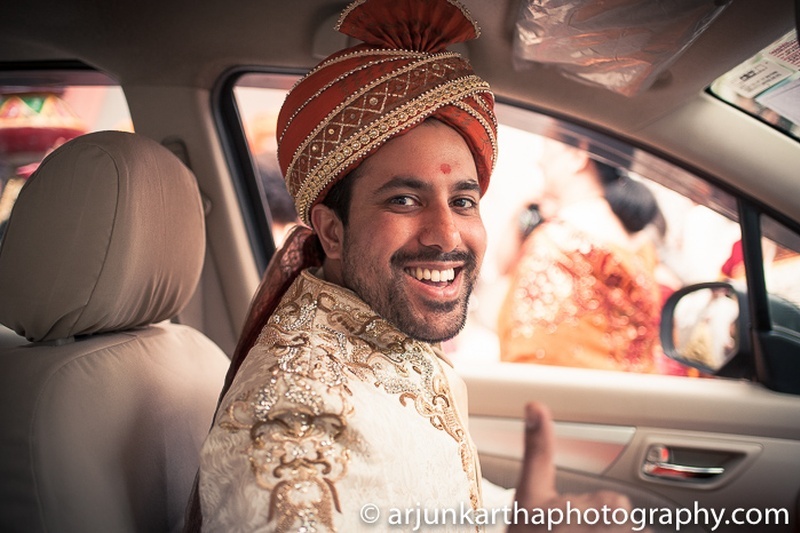 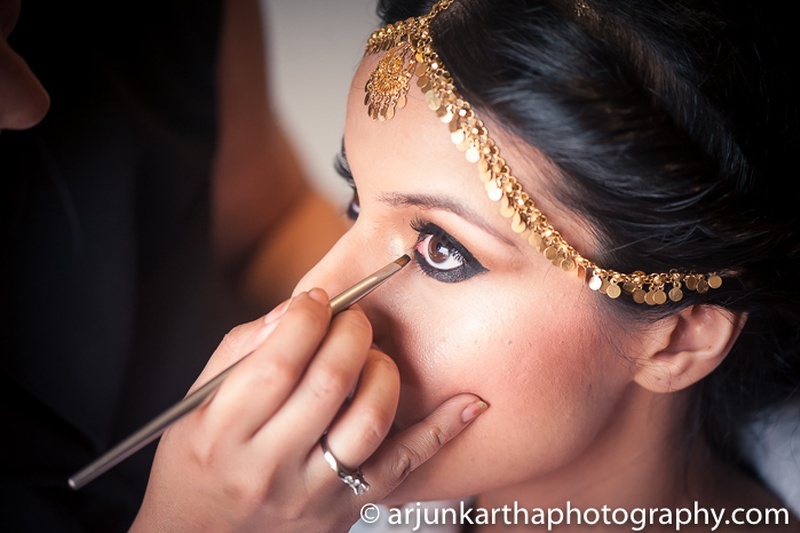 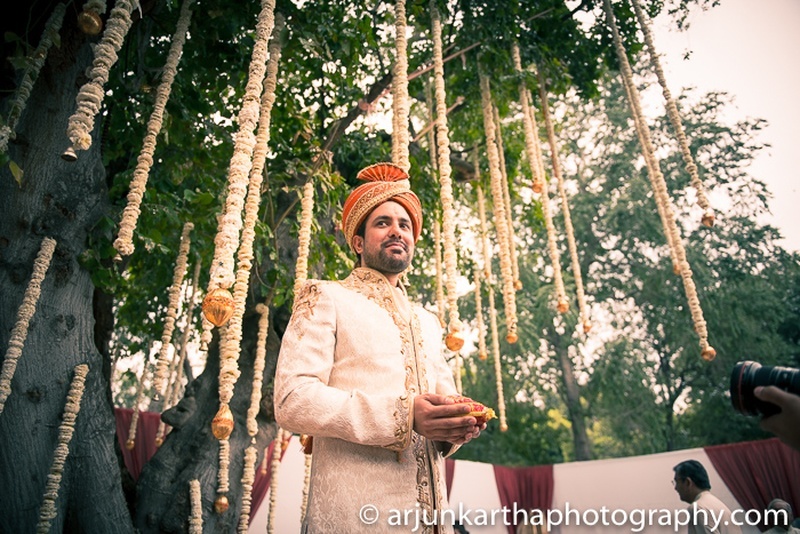 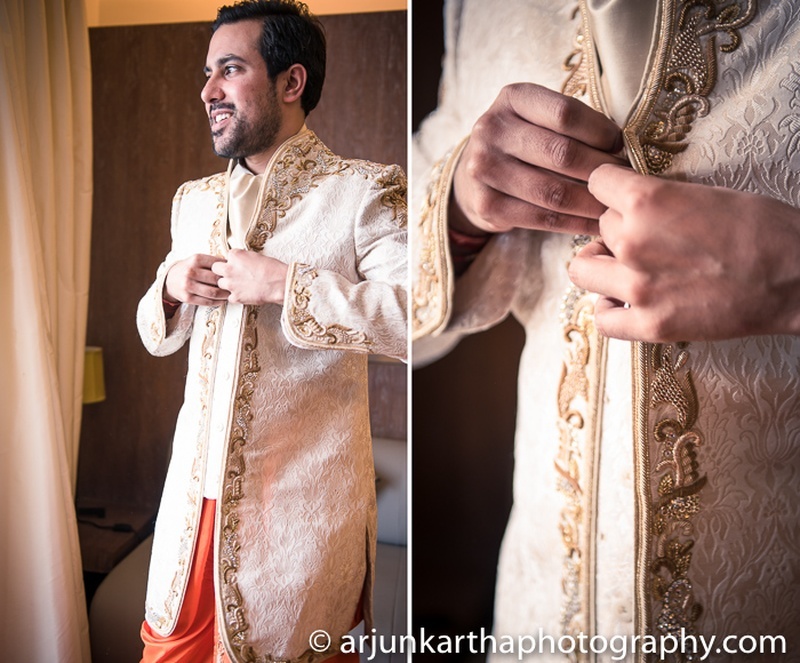 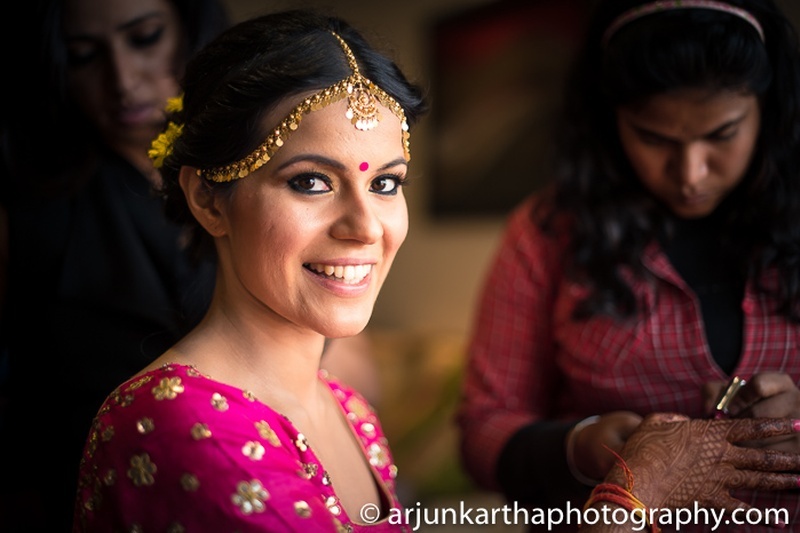 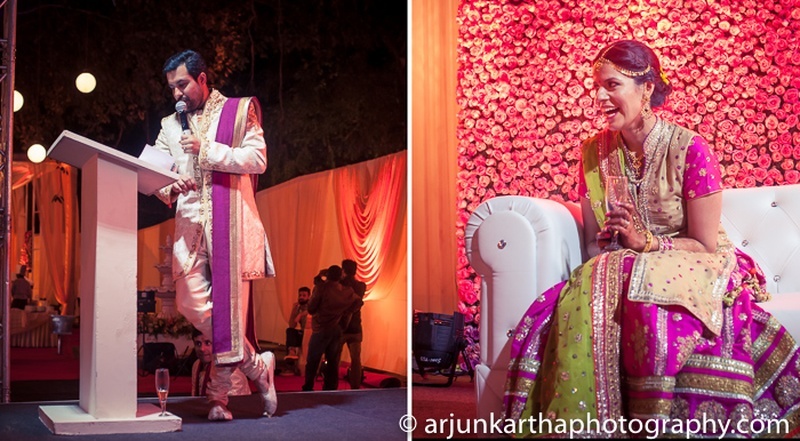 As Delhi Wedding Photographers, we love it! 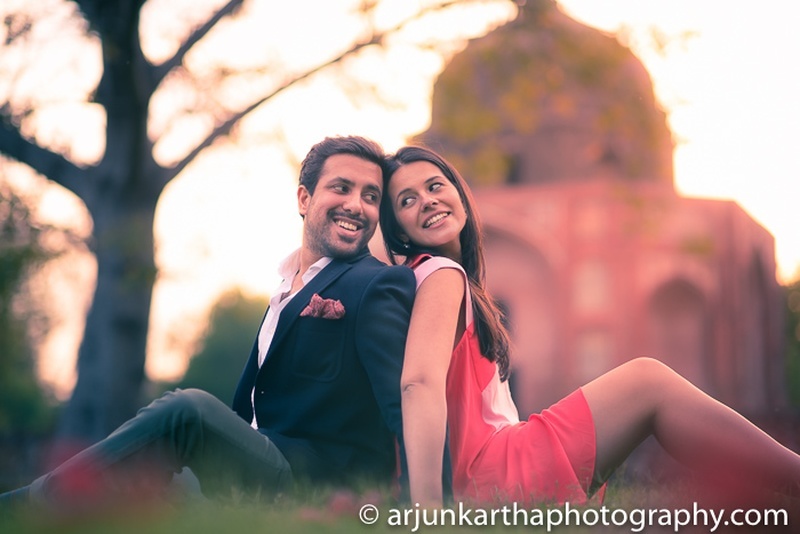 She decided that whenever she was to marry, it would be in New Delhi and that too the prettiest part of it. 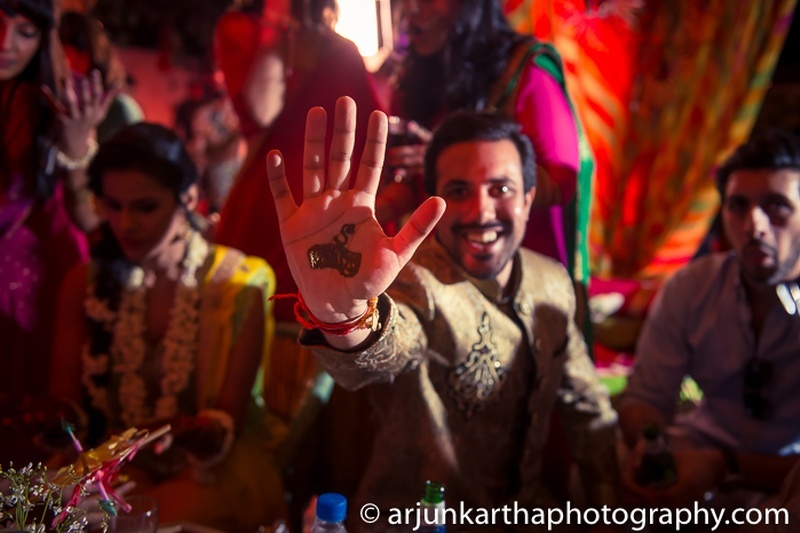 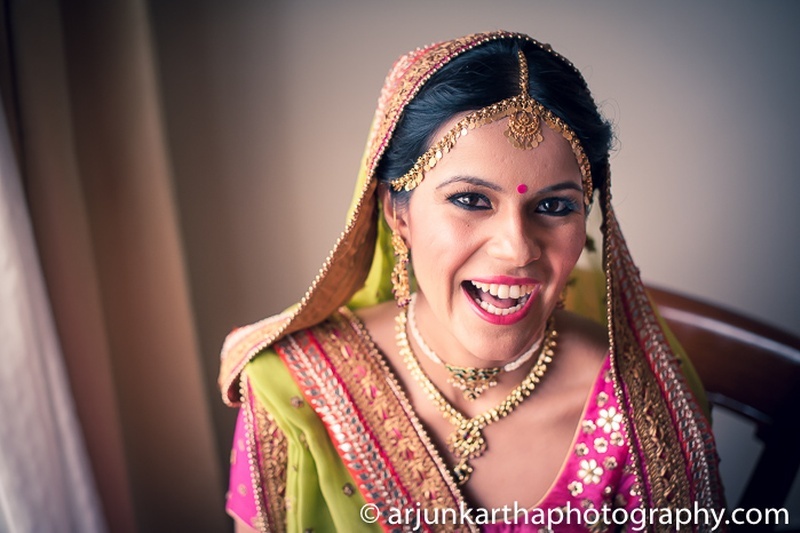 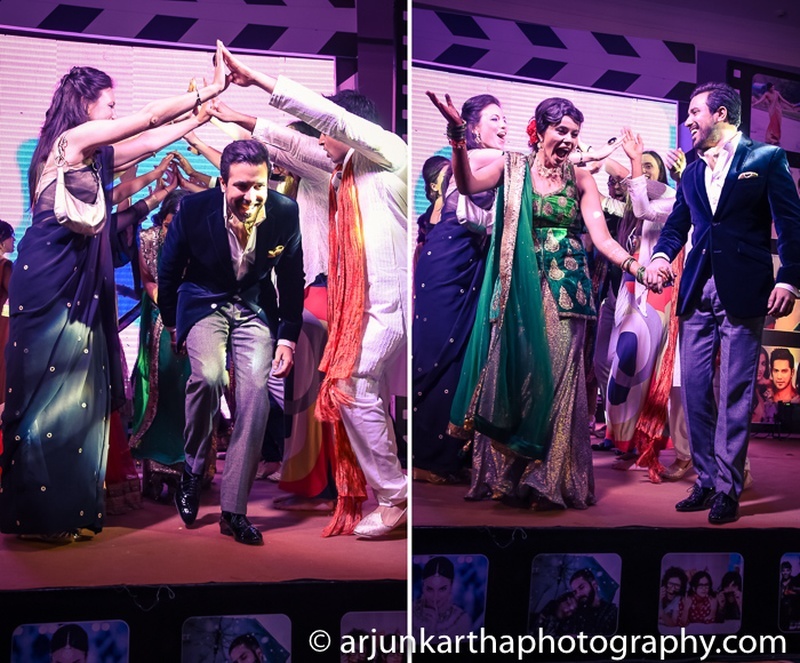 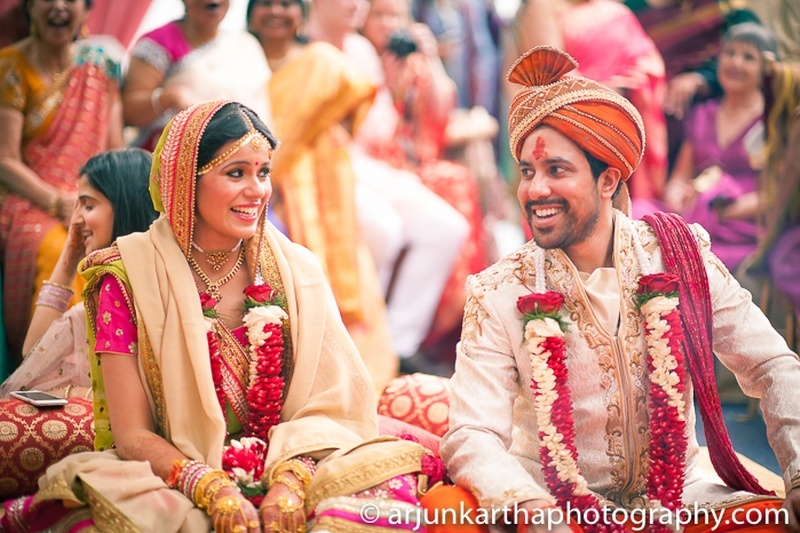 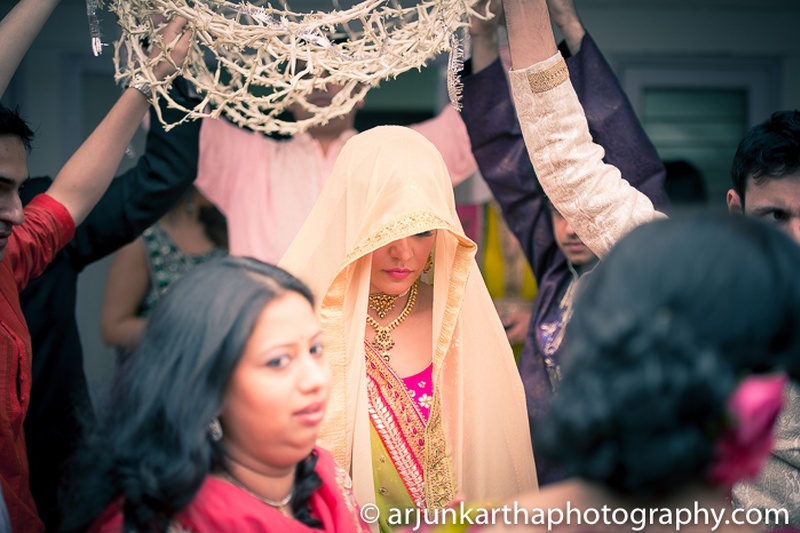 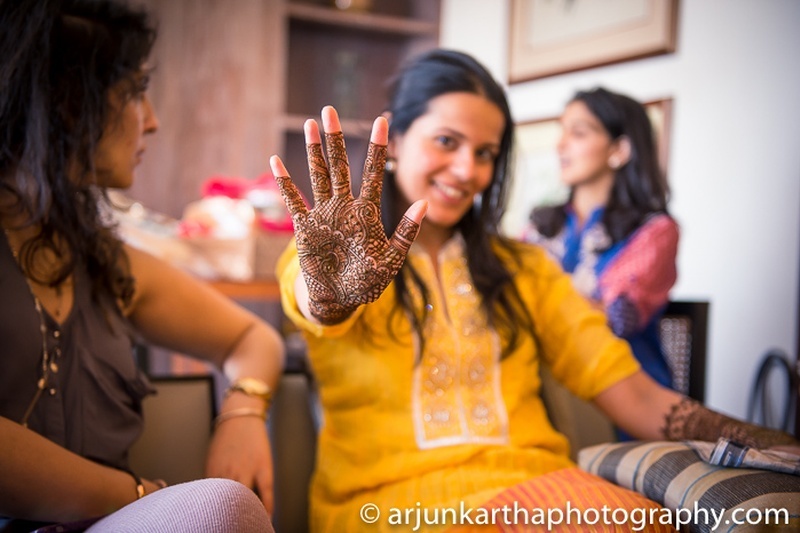 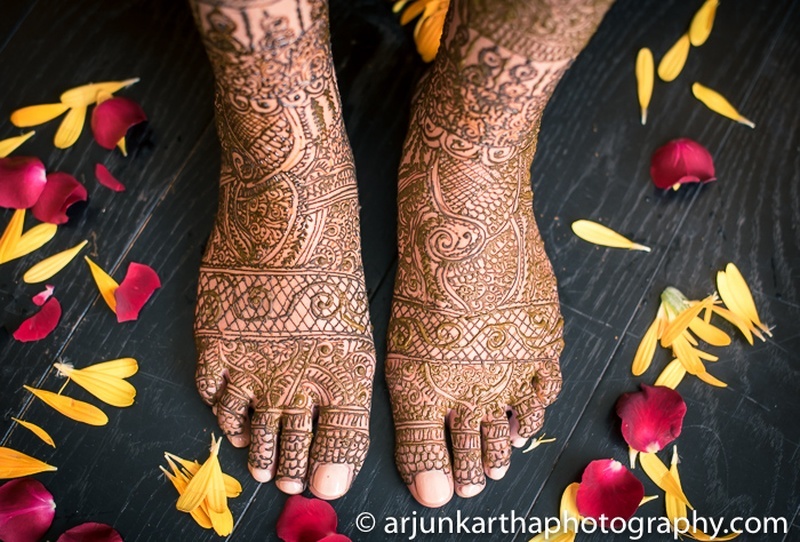 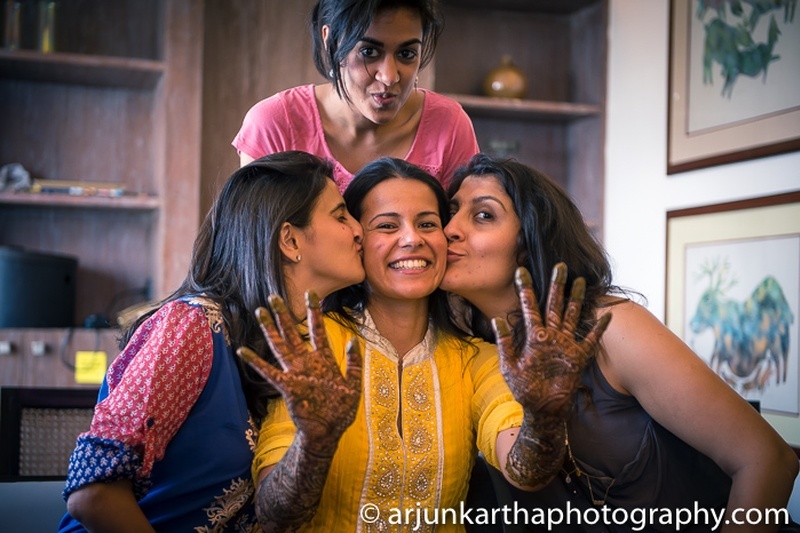 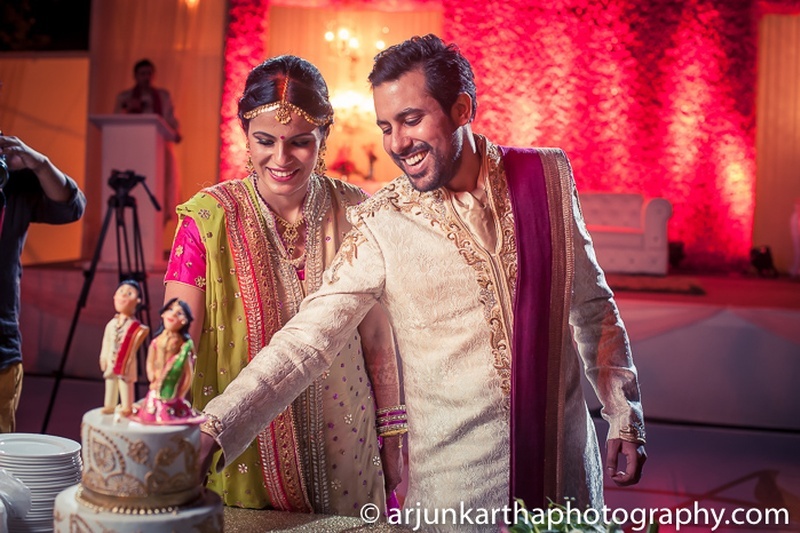 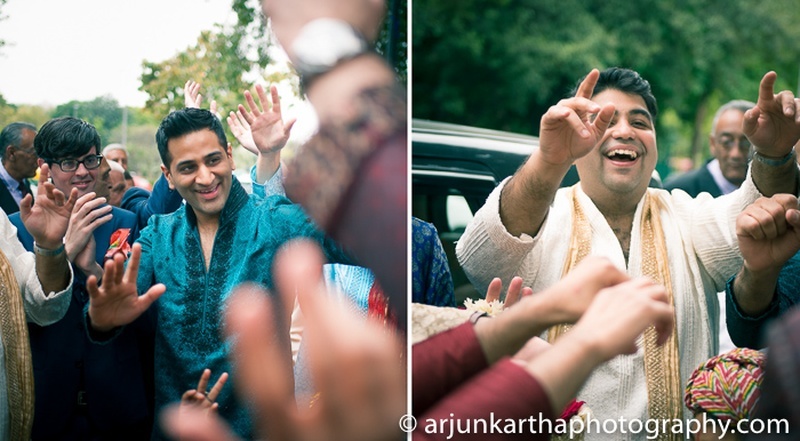 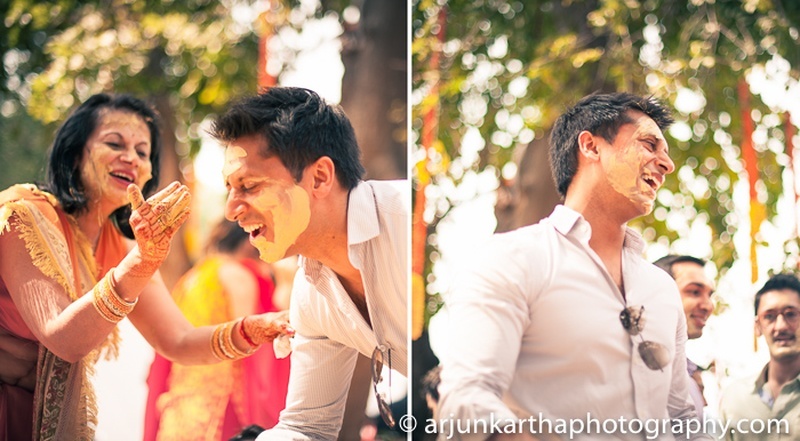 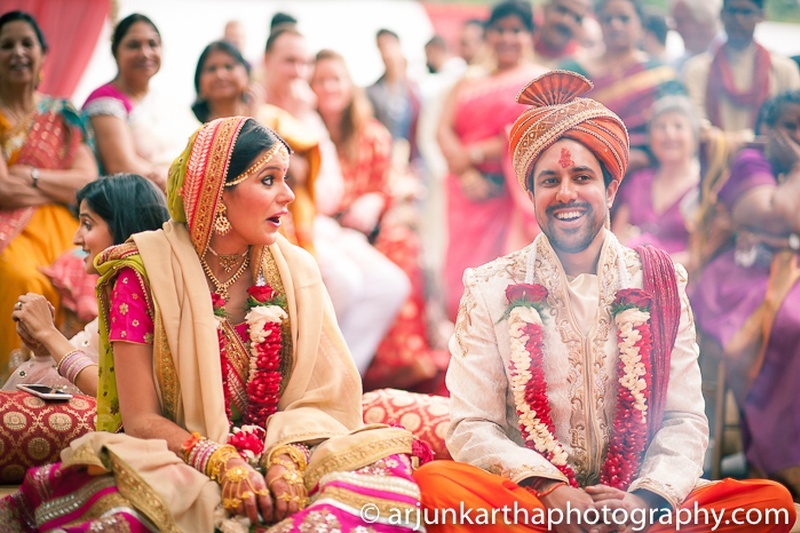 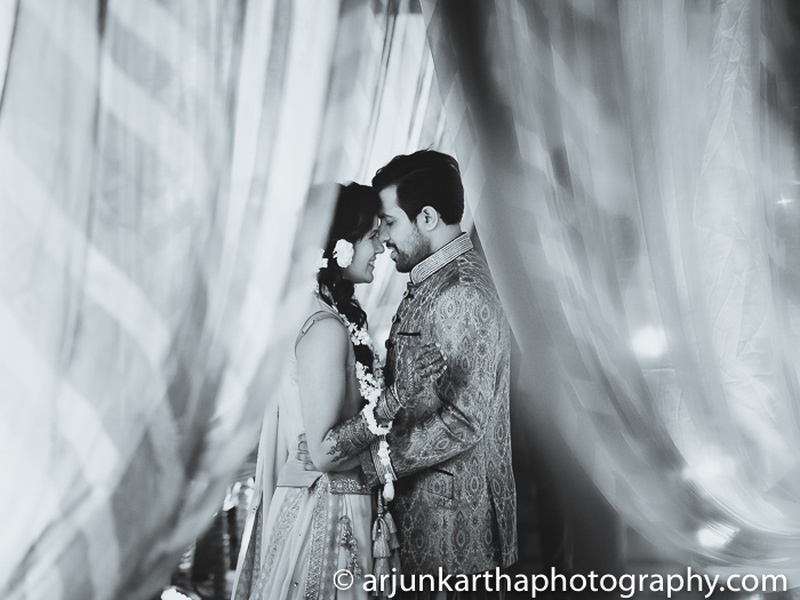 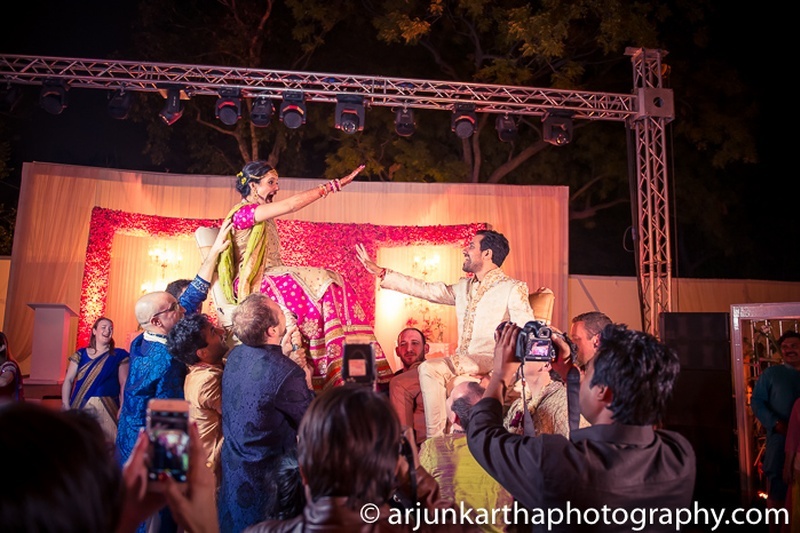 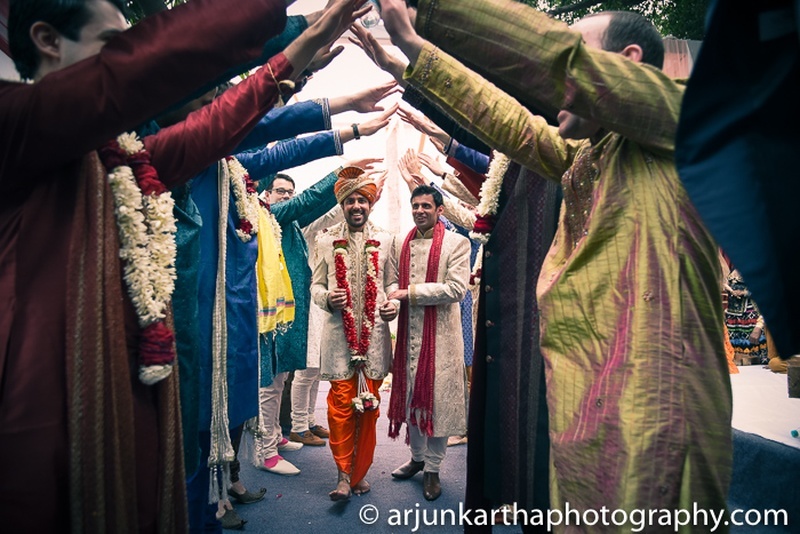 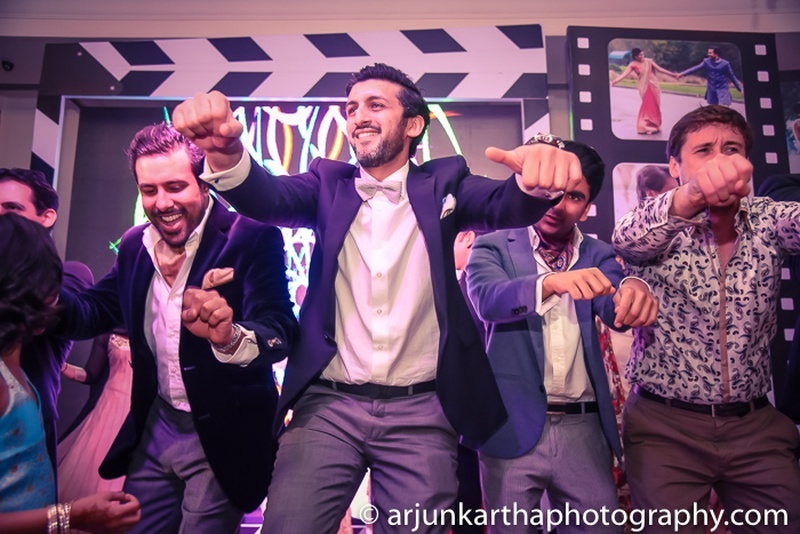 - Arjun Kartha, Wedding Photographer. 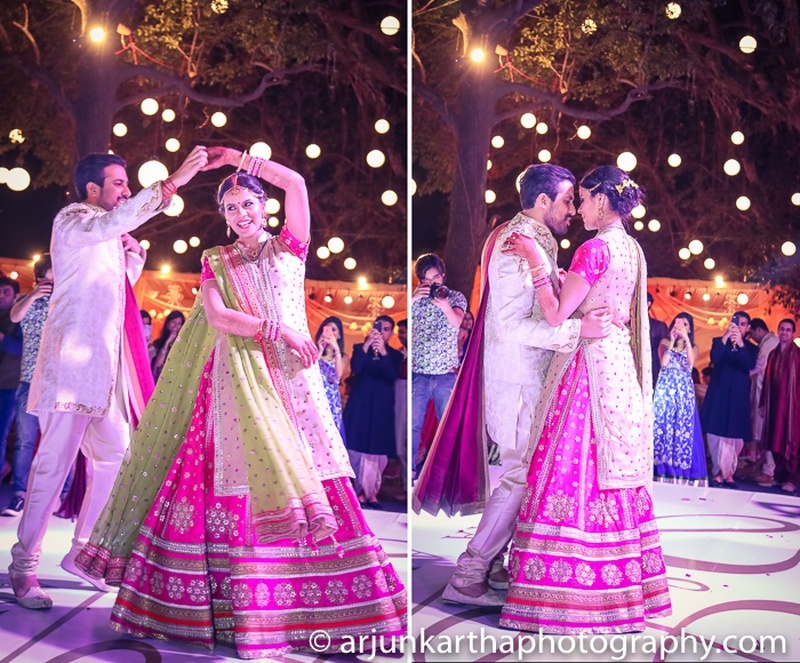 Arjun Kartha began capturing their wedding celebrations beautifully with their pre-wedding photoshoot held at Humayun’s tomb in Nizamuddin, but the official festivities kick started with Sarika’s mehndi ceremony, which then spilled over into the evening with loads of dancing and live folk music. 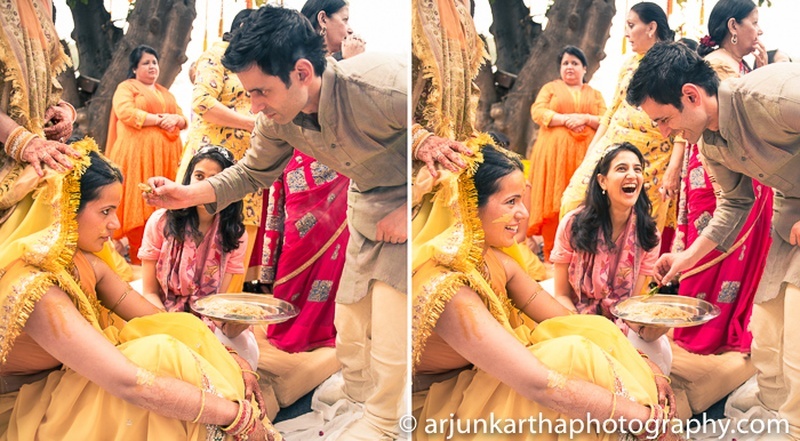 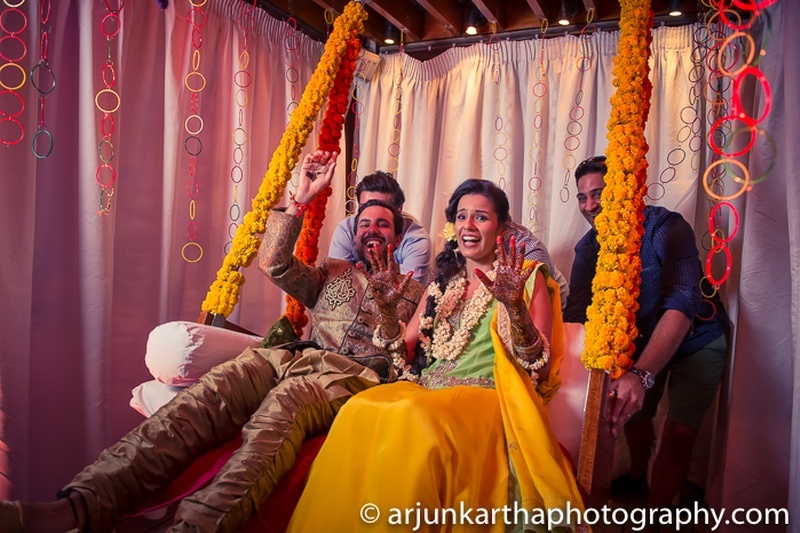 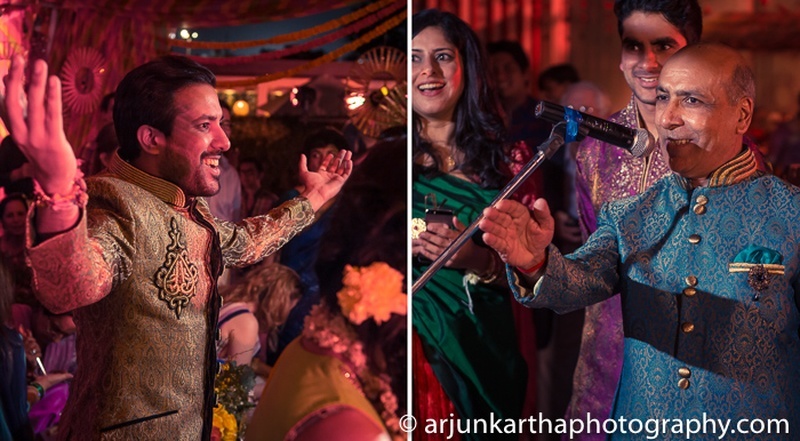 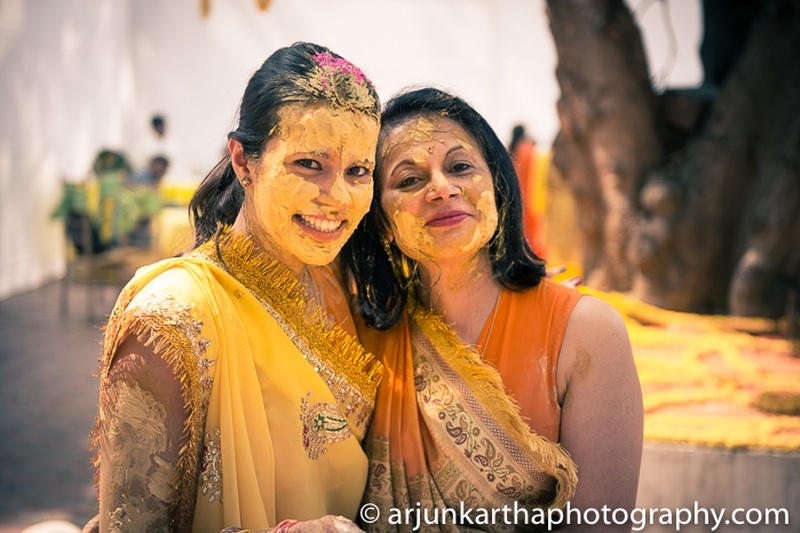 The little jhoola adorned with marigold flowers were definitely our favourite bit from this fun-filled mehndi ceremony.The next day brought with it Sarika’s haldi and the sangeet later that evening. 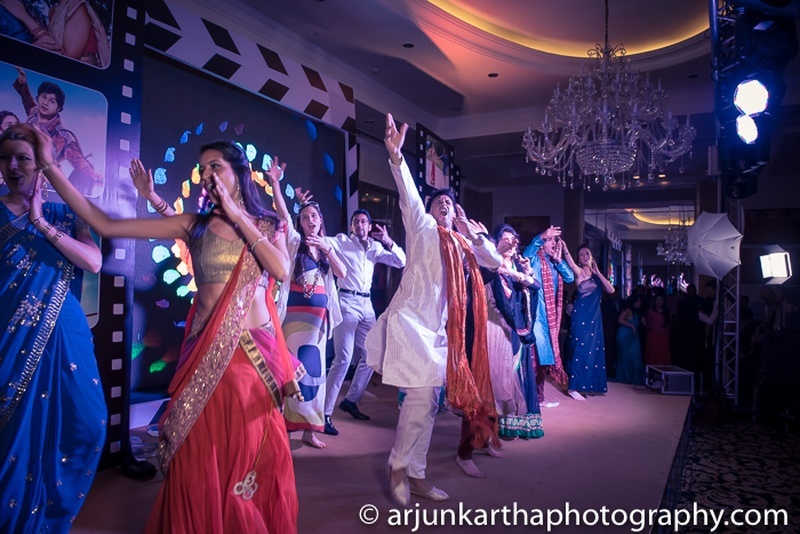 Being a Bollywood themed sangeet with loads of thumkas we were sure this was exactly the kind of desi vibe Sarika and Avin wanted at their wedding. 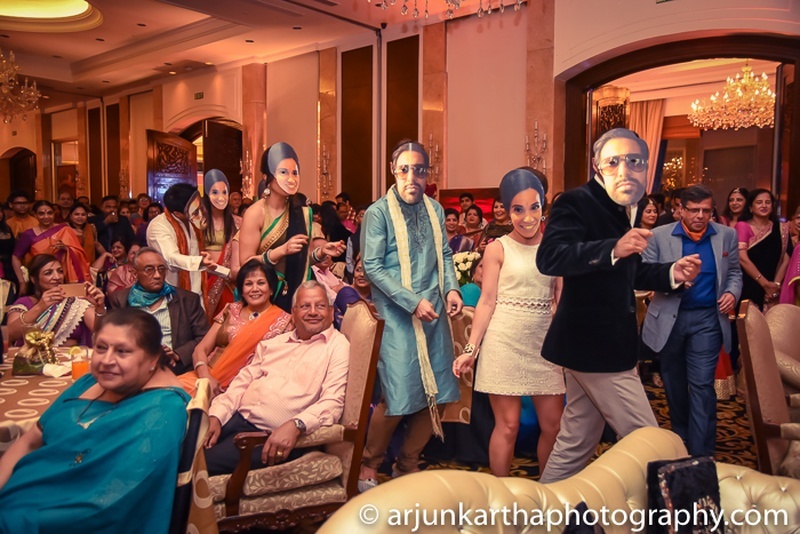 A great way in which they personalized this sangeet ceremony was with bringing in masks of the bride and groom - quirky, cute and so doable! 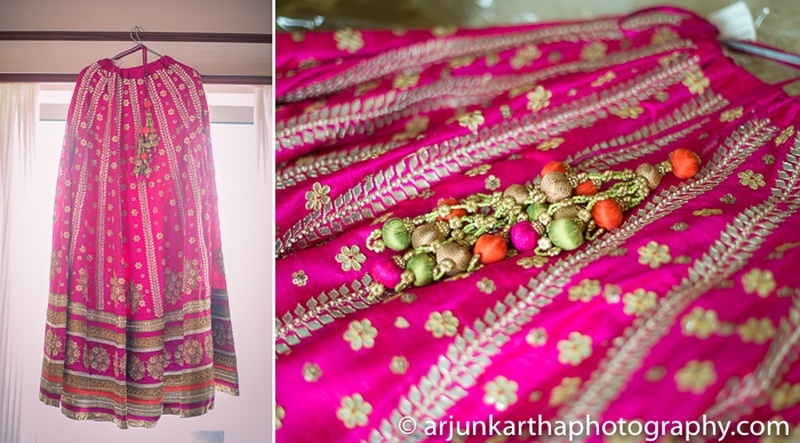 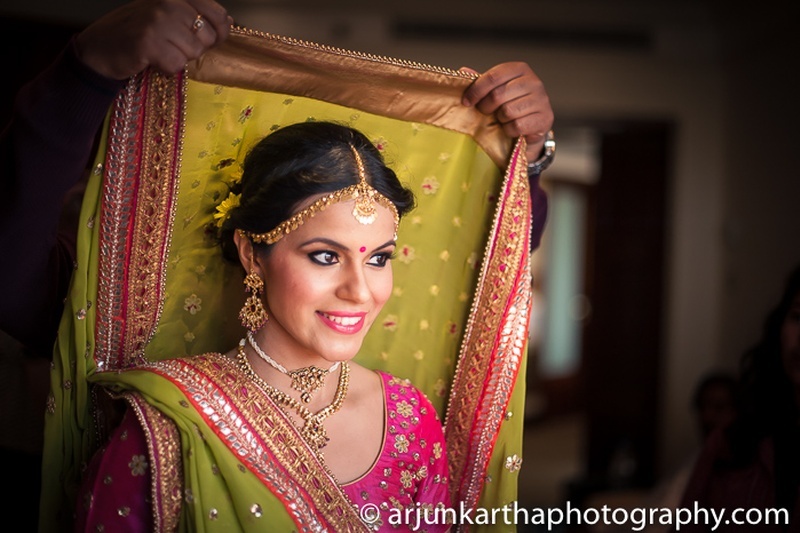 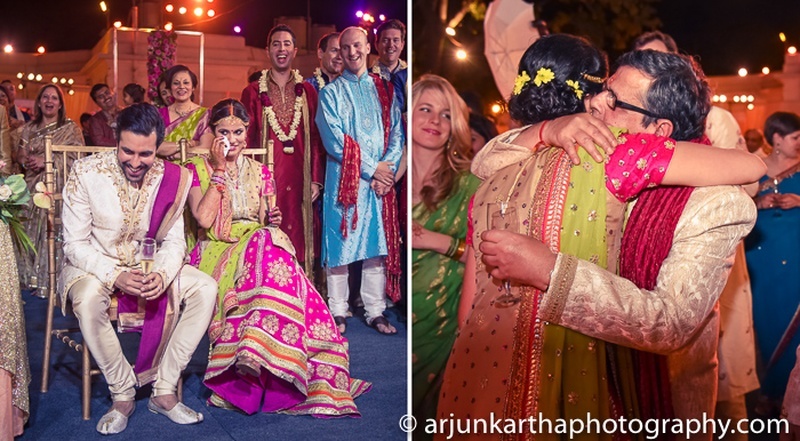 Sarika opted to wear a combination of pink and green for the wedding - an unusual pair of colors, but this gorgeous bride pulled it off beautifully. 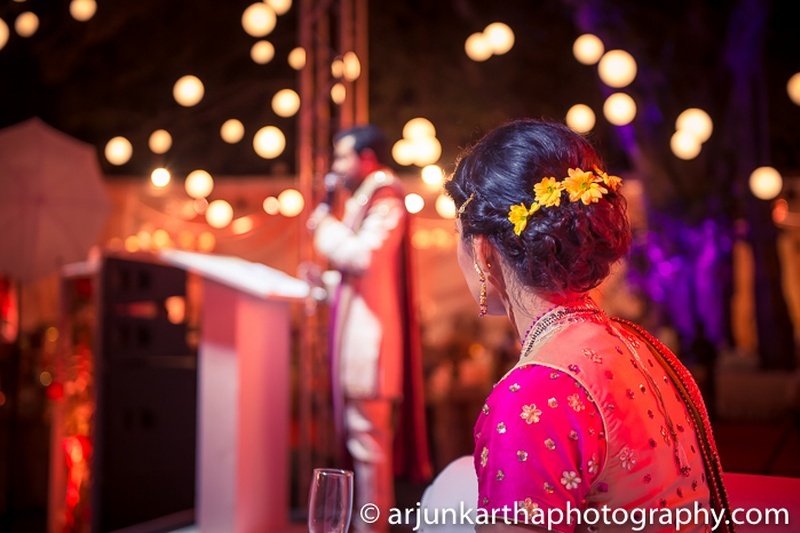 While she wore a matching choli with her lehenga for the wedding, the reception saw her in a beige kurta with the same pretty-pink bridal lehenga!